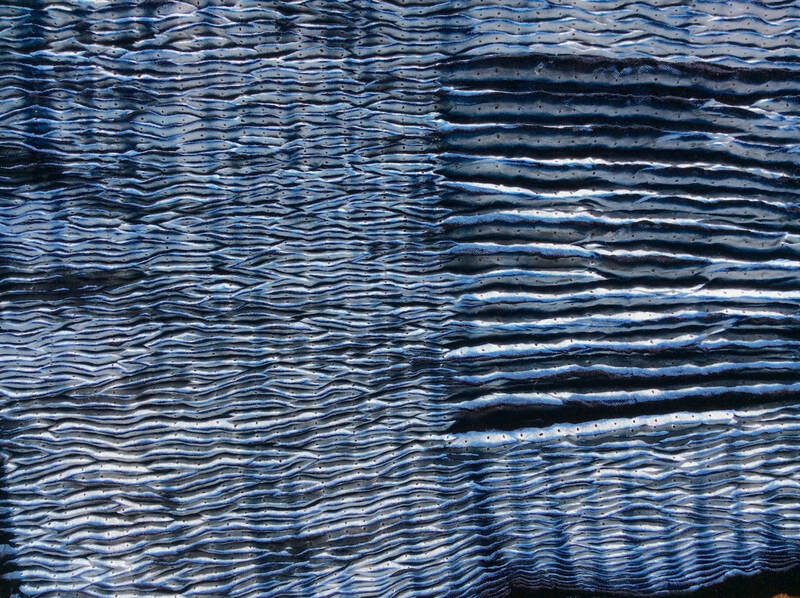 Kate practices Shibori stitching and indigo dyeing techniques and has made numerous trips to Japan to master these skills. At home she has an indigo dye vat set up permanently. 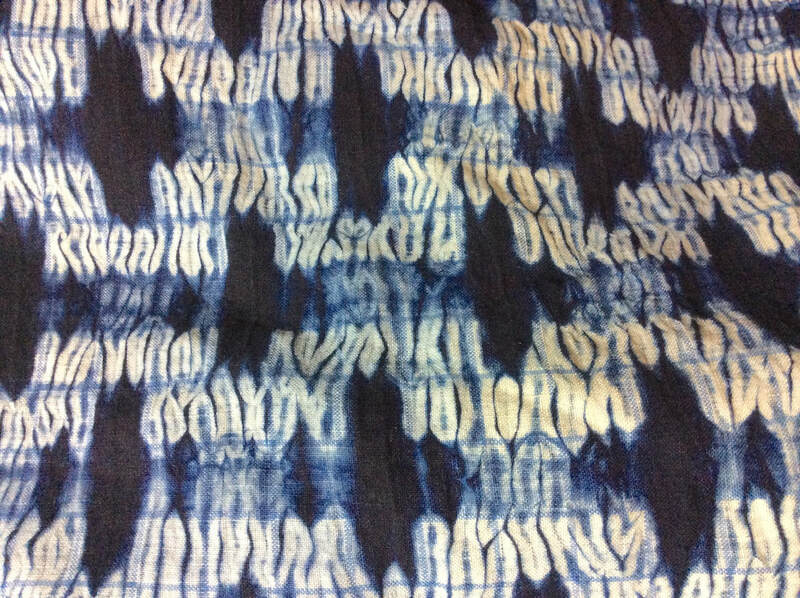 This one day workshop will concentrate on the indigo dyeing process and ways to resist cloth to create a fantastic array of patterns. You will learn Mokume, Itajime and Arashi Shibori, as well as alternative ways to create resist patterns. Participants will receive a small “homework” box with cloth, fabric, marking pen, needle and quality Shibori thread. It will also come with simple stitching instructions and design suggestions (Mokume Shibori) to be stitched before the workshop. That way you will be able to complete a larger stitched piece ready for pulling-in and dyeing on the day. This leaves more time during the workshop for other resist techniques, so more can be achieved! Homework boxes will be made available when workshop places have been filled. Participants can arrange to stitch together. Tell us if you are interested in stitching with others, we may be able to arrange a place/time. It is up to you how much of the fabric provided, you stitch. We anticipate you may need to set aside about 15-20hrs of simple stitching (for the max size piece) in preparation for the workshop. Please bring your own lunch. Coffee and tea provided. - Pieces of cotton/linen cloth (light to medium weight). All fabrics needs to be scoured of all sizing etc. BEFORE the class to remove impurities, so dyeing will be more successful. It is a simple process, instructions will follow. MATERIALS: $40 Includes indigo vat, silk scarf, and homework box materials consisting of quality cotton/linen fabric, special marking pen, needle and quality Shibori thread.